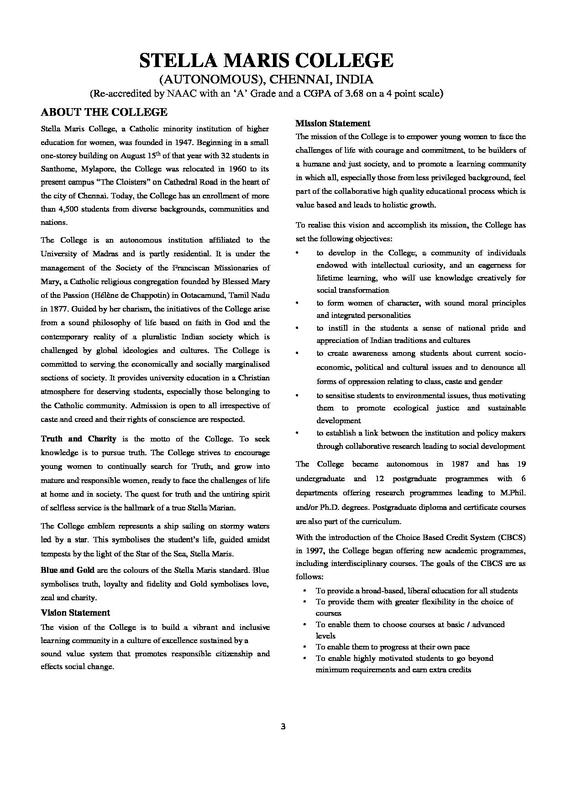 Stella Maris College, a Catholic institution of higher education for women located in Madras Chennai. 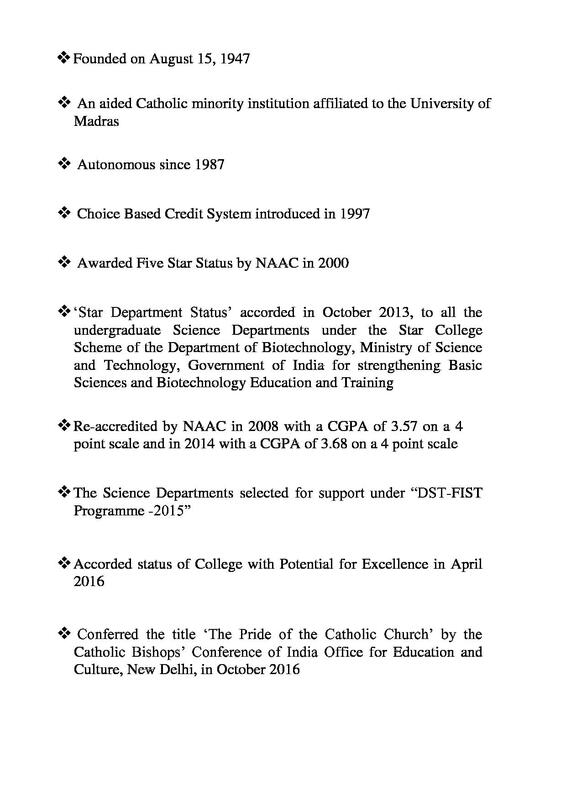 It is an autonomous college affiliated with University of Madras. The college is a Catholic minority institution established and run by the Society of the Franciscan Missionaries of Mary. The college offers a number of UG, PG and Research Courses. 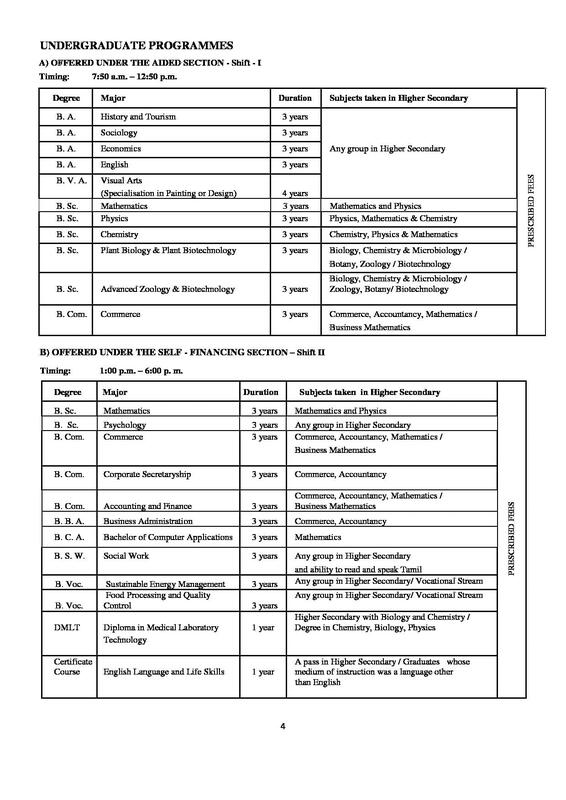 Admission to same is done on the basis of merit of qualifying exam. The college offers a number of Undergraduate, Postgraduate programs along with M.Phil. and PhD courses in specialized fields of study. The duration of undergraduate and postgraduate courses id varied. 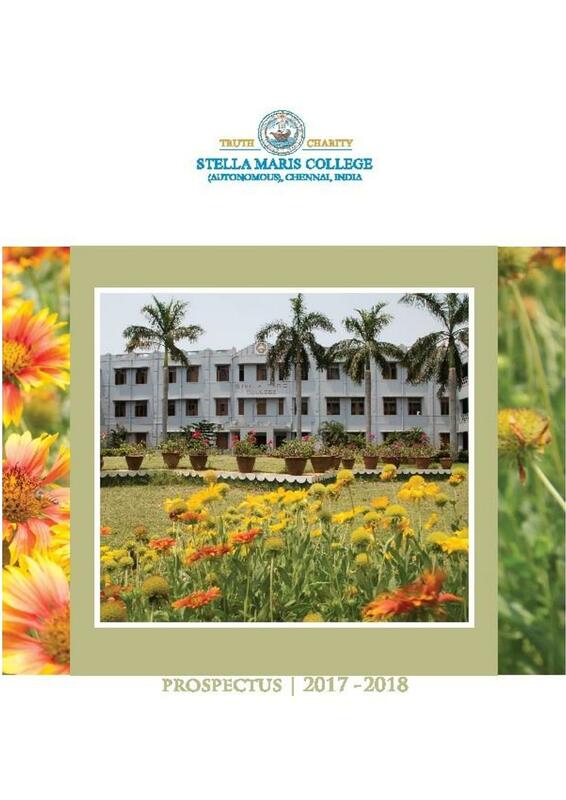 To know more about courses click here Stella Maris College Courses and Fees. The registration for all courses is done through online mode. Applicants who wish to apply can submit the application form on the official website of college. The basic eligibility for UG courses is 10+2 in relevant discipline with minimum required marks. For PG courses, applicants must have a graduate degree in relevant discipline with required marks. Candidates are selected on the basis of merit of qualifying exam. Shortlisted candidates on the basis of their marks are called for interview round. The final selection is based on the overall performance of candidates. To check detailed information about click here Stella Maris College Admission. The college gathers best placement opportunities for its students every year. In the academic year 2016-17, 60% students who registered for campus recruitment were placed in various companies. Some of the companies that recruited its students are Goldman Sachs, McKinsey, KPMG, Deloitte, Ernst & Young, World Bank, Wipro Cognizant Technology Solutions, Royal Bank of Scotland, Sutherland, Zoho, Zifo RnD, Verizon, Google, TNQ, Scientific Publishing, Velammal Schools and NTrust etc. Scholarship for SC/ST and OBC Students. The college I will say has the best faculty members dedicated for the students. Moreover they give support to the students in every possible way in each field of interest. A wonderful place to explore all you're knowledge and talent. This part of life will find you're self and will improve in all aspects. Every dream starts with this stage and its up to the student to utilize it in a wise manner. Bad remark is they don't let the 1st and 2yrs students to go for inter college competitions. The best management I have come across. One of the best women's college in the Country. They don't just create graduate but they create the best women to build a better society. I always say this about Stella Maris College, "If I give birth to a daughter, I would be very happy if she becomes an Stella Marian". Is there any entrance for msc chemistry? Hi Aishwarya, All the postgraduate courses, entrance tests along with the interview rounds are conducted for admission of students. Can i get ug psychology admission now? Hi Kajel, To get admission details for the psychology course you may contact to 044-28111987 , 28111951. Hi Nikitha,To get admission details for the BA English You may contact to 044-28111987 , 28111951. Is Stella Maris is only for the girl? Hi Bragatheesg, Yes This college is for only girls. Hi Induja, Yes you can get admission in B.SC. advanced zoology and biotehnology. What is the required percentage for MA in eng literature for 2018-19? Hi Diana, please contact on 044-28111987 , 28111951,to get relevant information. What is the required p.c to get admission in this college for Bsc in the session 2018? Hi Oinam, If you want to get admission in B.Sc program then you should have passed 10 2 with science subjects: maths or physics and 50% marks. Applied for the college and Got admission card. Went for an interview with the subject teacher and got the seat. The college admission was based on the Higher secondary scores and Personal interview. I had scored more than 75% in my Twelfth Board exams. After the results were announced, application forms were given. 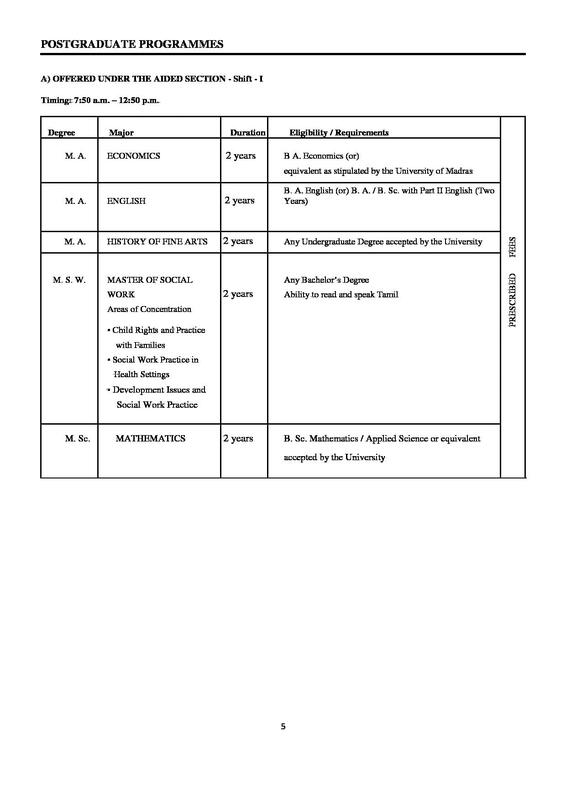 Three options were given for choosing the major. As I had a liking towards Botany I chose Plant Biology and Biotechnology as my first choice. I did not take any exams yet. As i did B.Sc Chemistry and did not need any extra exams. I just wrote the entrance exam which was organised by the college.